What a difference three months have made for Florence Welch and her band. Back in April, the vivacious Welch fractured her foot at Coachella after eagerly leaping off the stage towards the crowd, eventually ending her set by painfully hobbling off into the wings. In a disheartened Facebook post, she confessed that she was “devastated” by the injury, but would continue to tour, albeit stripping back her stage movement. Welch promised fans that by the time the goliath Glastonbury Festival rolled around in June, she’d be healed. Healed wasn’t the half of it. 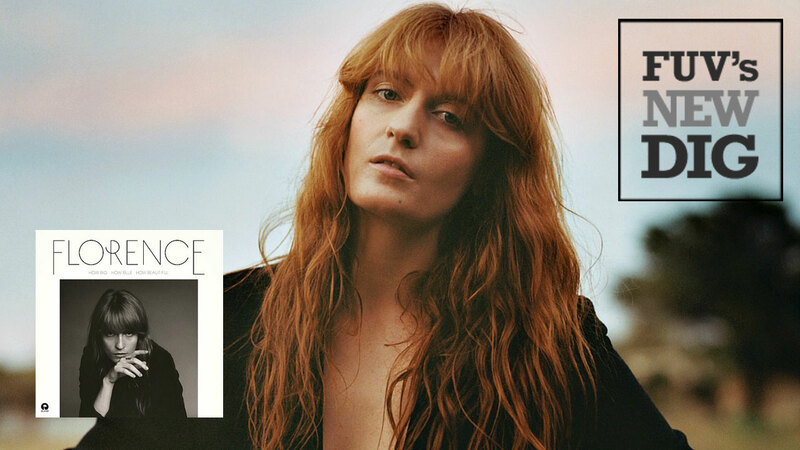 As fate played out in its curious way, Florence and the Machine thought they’d be part of the Pyramid Stage support lineup at Glastonbury, performing before the Foo Fighters’ Friday night headlining slot. But after Dave Grohl shattered his leg falling off a stage in Sweden and Foo Fighters were forced to cancel, Welch and her band, who had just released a third album, How Big, How Blue, How Beautiful, in early June, were asked to step into that auspicious slot, the first time a British woman fronting a band has done so since Skunk Anansie in 1999. While that fact doesn’t say much for the ongoing problem of gender parity at festivals, the outcome was momentous for Florence and the Machine as Welch strode barefoot across that vast stage: the ascension of this idiosyncratic Londoner into the upper echelon of influential rock and pop artists. The confluence of a dazzling set, her dramatic artistic choices, and exquisite timing at Glastonbury was duly matched by the chart-topping triumph of How Big, How Blue, How Beautiful, an album that exquisitely serves Welch’s grand and feral voice. “I was on a heavy trip,” Welch wearily sighs on the first line of “What Kind of Man,” the second track of the album. “Trying to cross a canyon with a broken limb.” It’s a wildly prescient observation; that mythic canyon was not only crossed, but she managed to clamber up a mountainside too. Welch has bluntly spoken about the self-destructive streak of heavy drinking and pursuant depression that led her to take a hiatus after Florence and the Machine’s first two albums, 2009’s Lungs and 2011’s Ceremonials. Although How Big, How Blue, How Beautiful might be the band’s strongest album to date, it isn’t a happy rebound—at its core is a fractured romance—but Welch is powerfully focused and lyrically on target. The songs, although missing the scrappy pugilism of early singles like “Kiss With A Fist,” erupt with tenderness, rage and luminous confidence. The choice of producer Marcus Dravs, who has worked with Björk and Arcade Fire, was fortuitous; Dravs grasped Welch’s trenchant fondness for extravagance and promptly dismantled that safety net in favor of a starker simplicity. Even the title track’s big orchestral tempest is craftily guided into a downbeat, brassy dreamscape, akin to watching the moonrise after a storm-ravaged night. The gorgeous “St. Jude” is an aching eulogy to a dead love affair, beautifully and plaintively sung by Welch, while “Caught” sways between trembling verses and untethered, gospel-stoked choruses. Welch's bandmates, including guitarist Robert Ackroyd and keyboardist Isabella Summers, have also found refinement and depth in that altered terrain. While it would be facile to slap a fairytale-like motif on Florence Welch’s absurdly good run of fortune of late (despite her fondness for “The Little Mermaid,” as she once admitted in a 2009 FUV Live session), it’s truly satisfying to watch a good musician hit her stride and then soar, falcon-like, into the stratosphere. Although its songs were conceived during a tough time in Welch’s life, How Big, How Blue, How Beautiful is a magnificent, heartbroken howl of an album that manages to persevere and triumph, much like the singer herself.